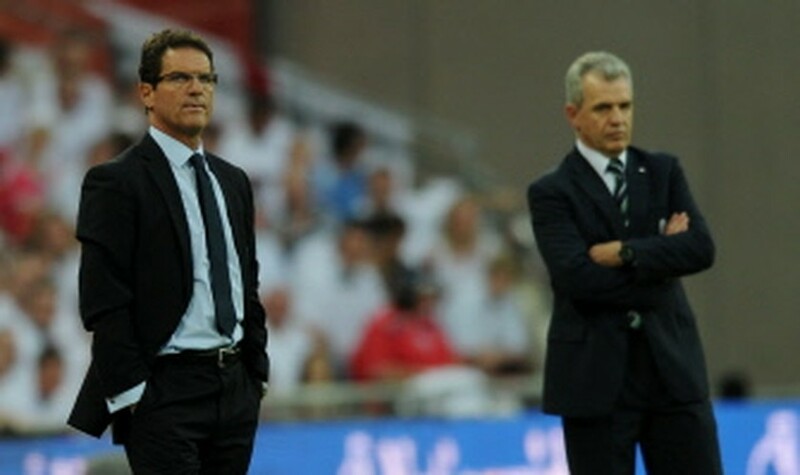 LONDON, May 27, 2010 (AFP) - Fabio Capello insists he has no intention of quitting his role as England coach to take charge of Inter Milan after the World Cup. Capello has been linked with a move to the newly crowned European champions following confirmation of Jose Mourinho's imminent departure from the San Siro to coach Real Madrid. The Italian already has plenty of Serie A experience after spells as manager at AC Milan, Juventus and Roma and reports in Italy claimed he is Inter's number one target to replace Mourinho. But Capello recently asked the English Football Association to remove a 'review' clause from his contract which allowed him to talk to other clubs after the World Cup and he has reaffirmed his desire to stay on for the Euro 2012 qualifying campaign. "I have a contract with the Football Association and the only way it will finish is if they decide to sack me," he was quoted as saying in The Sun. "I see my name linked with a lot of jobs in Italy and in Spain, but I'm happy here with the FA."